experience simple, delicious, local food. 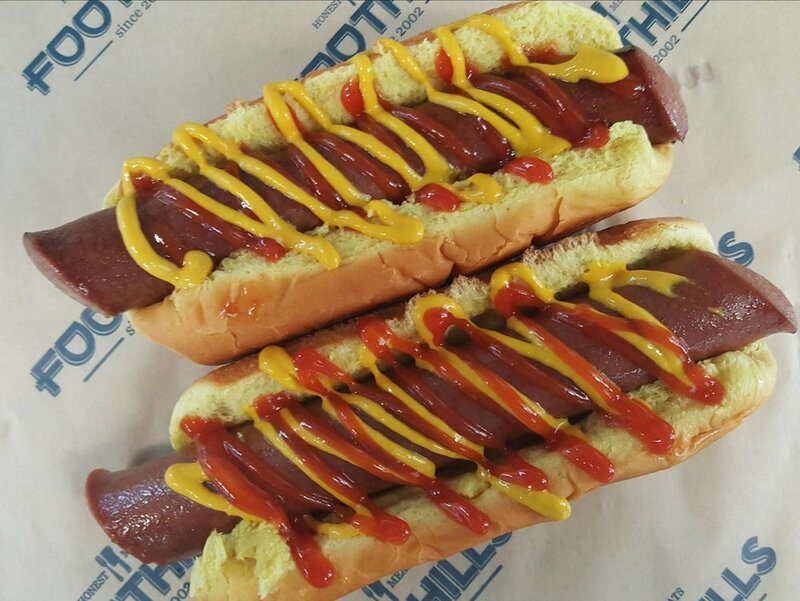 Hand prepared to order using only local, pasture-raised meats, Foothills Food Truck offers hot dogs, burgers, sandwiches, salads, and more. Our family-friendly food truck is permanently located at Hi-Wire Brewing's Big Top off Biltmore Avenue near downtown Asheville. The food truck is open during taproom hours to provide Hi-Wire's guests with delicious, scratch made food that pairs perfectly with Hi-Wire beers. Order to go, or eat at one of our picnic tables or in Hi-Wire's taproom while enjoying the beautiful weather and fun atmosphere. Please put "Food Truck" in your subject line. We DO NOT take food truck orders through email. Burger & Pint Night every Monday at Hi-Wire Big Top! Don't miss the best burger and pint deal in town. $10 buys you our housemade double cheeseburger, a side of our famous tallow fries and a Hi-Wire draft beer of your choice. Host your special event at Hi-Wire Big Top. Foothills caters special events at Hi-Wire's Big Top weekly. Contact us for more details.